The Learning Journey is Proud to Announce the Launch of the all New Line of Educational Toys… Code & Learn! The Code & Learn Ladybug and Space Ship from The Learning Journey introduces kids to basic programming and coding in a simple and fun way! The Learning Journey announces the launch of the Code & Learn line of toys that teach young children the basics of coding and programming through interactive play! The line will launch with two adorable products featuring a Ladybug or a Space ship. These fun and educational coding toys teach sequencing, directions, problem solving and logic. They also align with the Science, Technology, Engineering and Math standards (STEM). The Learning Journey designs and develops award winning, high quality, educational toys and games that teach children through fun. 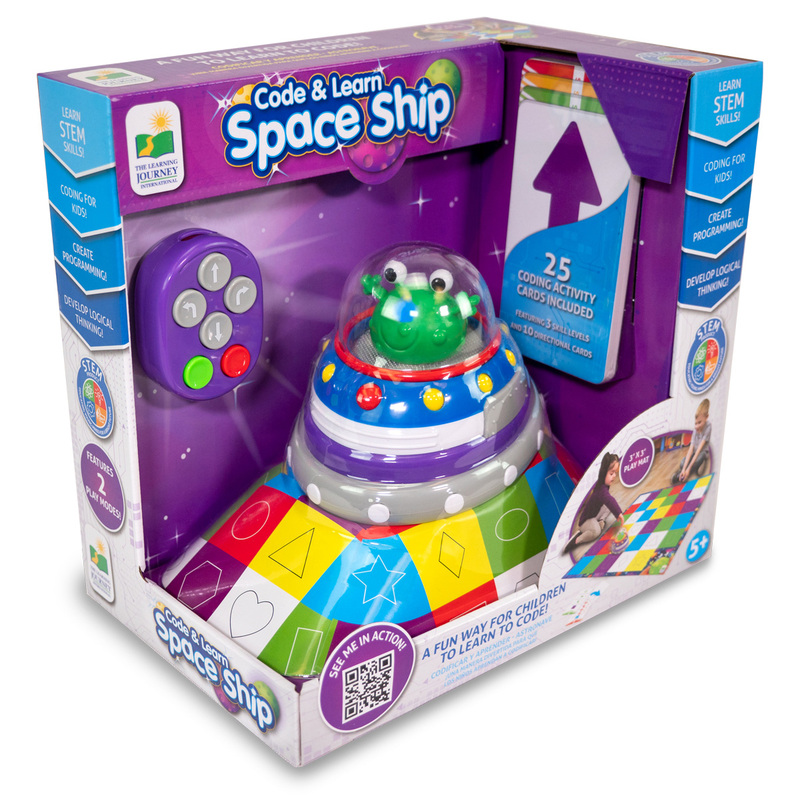 Code & Learn Ladybug and Space Ship retail for $39.99 at many major retailers and specialty stores nationwide and at The Learning Journey. To learn more about the products, check out these videos -- Code & Learn Ladybug and Code & Learn Space Ship. The Learning Journey opened its doors in 1995 with the mission of providing an opportunity to offer every parent affordable, high quality educational materials to ensure a successful start in school for their children. Since then, The Learning Journey has been designing and manufacturing an exclusive line of award-winning children's interactive educational products. All products at The Learning Journey encourage learning and develop confidence as they enhance a child's potential. All products build on the skills necessary for children to be prepared for school and beyond. With The Learning Journey's complete range of interactive products, children have fun while learning and parents and educators know they have the right quality educational products for their children.